This is part 28 of Categories for Programmers. Previously: Kan Extensions. See the Table of Contents. A category is small if its objects form a set. But we know that there are things larger than sets. 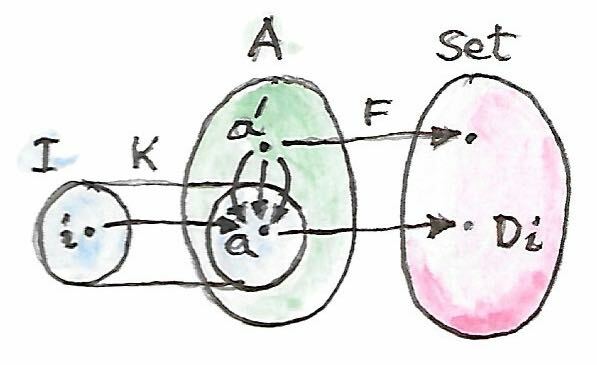 Famously, a set of all sets cannot be formed within the standard set theory (the Zermelo-Fraenkel theory, optionally augmented with the Axiom of Choice). So a category of all sets must be large. There are mathematical tricks like Grothendieck universes that can be used to define collections that go beyond sets. These tricks let us talk about large categories. A category is locally small if morphisms between any two objects form a set. If they don’t form a set, we have to rethink a few definitions. In particular, what does it mean to compose morphisms if we can’t even pick them from a set? The solution is to bootstrap ourselves by replacing hom-sets, which are objects in Set, with objects from some other category V. The difference is that, in general, objects don’t have elements, so we are no longer allowed to talk about individual morphisms. We have to define all properties of an enriched category in terms of operations that can be performed on hom-objects as a whole. In order to do that, the category that provides hom-objects must have additional structure — it must be a monoidal category. If we call this monoidal category V, we can talk about a category C enriched over V.
Beside size reasons, we might be interested in generalizing hom-sets to something that has more structure than mere sets. For instance, a traditional category doesn’t have the notion of a distance between objects. Two objects are either connected by morphisms or not. All objects that are connected to a given object are its neighbors. Unlike in real life; in a category, a friend of a friend of a friend is as close to me as my bosom buddy. In a suitably enriched category, we can define distances between objects. There is one more very practical reason to get some experience with enriched categories, and that’s because a very useful online source of categorical knowledge, the nLab, is written mostly in terms of enriched categories. When constructing an enriched category we have to keep in mind that we should be able to recover the usual definitions when we replace the monoidal category with Set and hom-objects with hom-sets. The best way to accomplish this is to start with the usual definitions and keep reformulating them in a point-free manner — that is, without naming elements of sets. This is a function between sets — one of them being the cartesian product of two hom-sets. This formula can be easily generalized by replacing cartesian product with something more general. A categorical product would work, but we can go even further and use a completely general tensor product. Again, we could replace the singleton set with the terminal object, but we can go even further by replacing it with the unit i of the tensor product. As you can see, objects taken from some monoidal category V are good candidates for hom-set replacement. It must be natural in all three arguments. and which is consistent with the monoidal structure. A monoidal category in which both are defined is called biclosed. 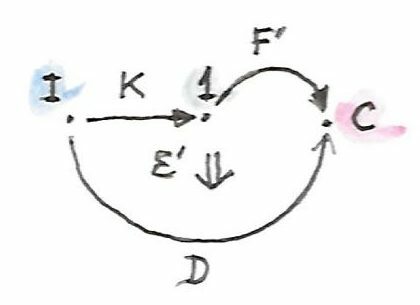 An example of a category that is not biclosed is the category of endofunctors in Set, with functor composition serving as tensor product. That’s the category we used to define monads. A category C enriched over a monoidal category V replaces hom-sets with hom-objects. 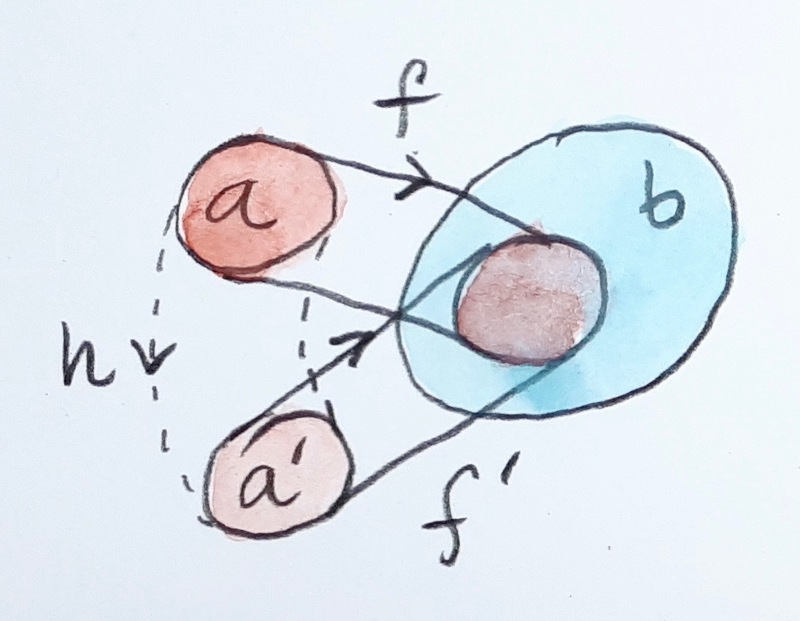 To every pair of objects a and b in C we associate an object C(a, b) in V. We use the same notation for hom-objects as we used for hom-sets, with the understanding that they don’t contain morphisms. On the other hand, V is a regular (non-enriched) category with hom-sets and morphisms. So we are not entirely rid of sets — we just swept them under the rug. where i is the tensor unit in V.
A preorder is defined as a thin category, one in which every hom-set is either empty or a singleton. We interpret a non-empty set C(a, b) as the proof that a is less than or equal to b. 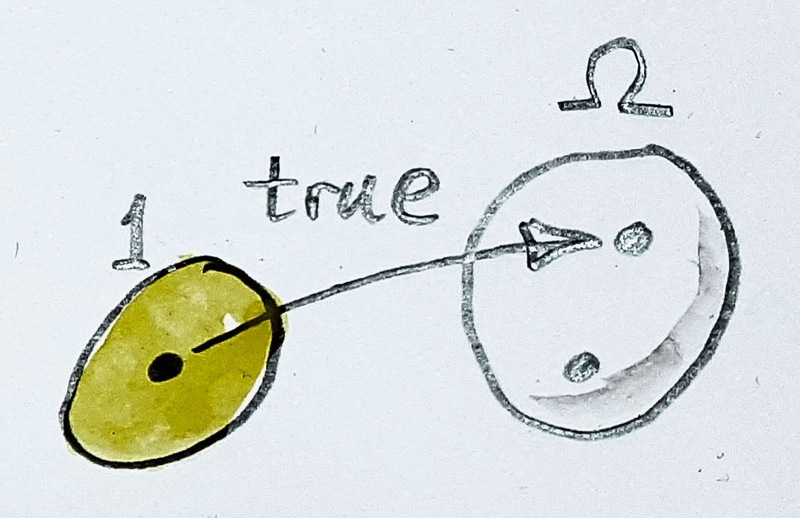 Such a category can be interpreted as enriched over a very simple monoidal category that contains just two objects, 0 and 1 (sometimes called False and True). Besides the mandatory identity morphisms, this category has a single morphism going from 0 to 1, let’s call it 0->1. A simple monoidal structure can be established in it, with the tensor product modeling the simple arithmetic of 0 and 1 (i.e., the only non-zero product is 1⊗1). The identity object in this category is 1. This is a strict monoidal category, that is, the associator and the unitors are identity morphisms. Since in a preorder the-hom set is either empty or a singleton, we can easily replace it with a hom-object from our tiny category. 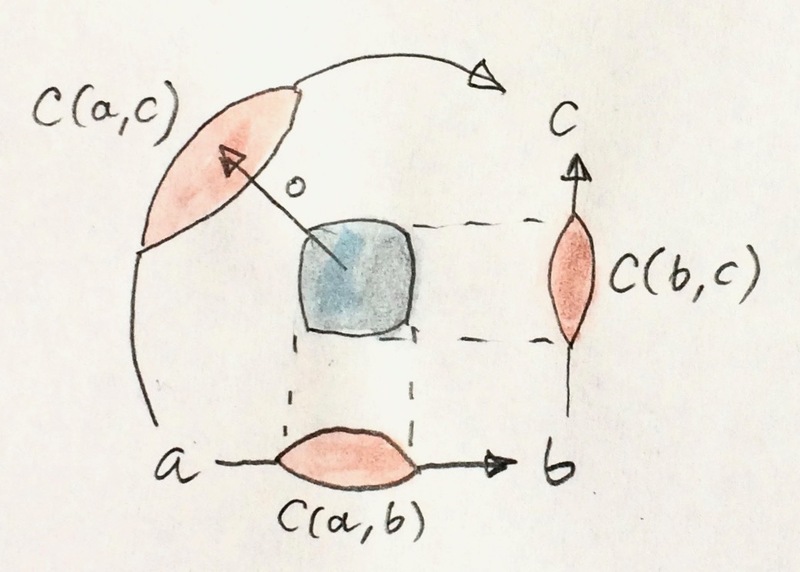 The enriched preorder C has a hom-object C(a, b) for any pair of objects a and b. If a is less than or equal to b, this object is 1; otherwise it’s 0. Let’s have a look at composition. The tensor product of any two objects is 0, unless both of them are 1, in which case it’s 1. If it’s 0, then we have two options for the composition morphism: it could be either id0 or 0->1. But if it’s 1, then the only option is id1. Translating this back to relations, this says that if a <= b and b <= c then a <= c, which is exactly the transitivity law we need. What about the identity? It’s a morphism from 1 to C(a, a). There is only one morphism going from 1, and that’s the identity id1, so C(a, a) must be 1. It means that a <= a, which is the reflexivity law for a preorder. So both transitivity and reflexivity are automatically enforced, if we implement a preorder as an enriched category. An interesting example is due to William Lawvere. He noticed that metric spaces can be defined using enriched categories. A metric space defines a distance between any two objects. This distance is a non-negative real number. It’s convenient to include inifinity as a possible value. If the distance is infinite, there is no way of getting from the starting object to the target object. There are some obvious properties that have to be satisfied by distances. One of them is that the distance from an object to itself must be zero. 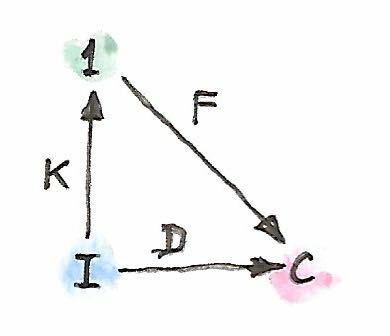 The other is the triangle inequality: the direct distance is no larger than the sum of distances with intermediate stops. We don’t require the distance to be symmetric, which might seem weird at first but, as Lawvere explained, you can imagine that in one direction you’re walking uphill, while in the other you’re going downhill. In any case, symmetry may be imposed later as an additional constraint. So how can a metric space be cast into a categorical language? We have to construct a category in which hom-objects are distances. Mind you, distances are not morphisms but hom-objects. How can a hom-object be a number? Only if we can construct a monoidal category V in which these numbers are objects. Non-negative real numbers (plus infinity) form a total order, so they can be treated as a thin category. A morphism between two such numbers x and y exists if and only if x >= y (note: this is the opposite direction to the one traditionally used in the definition of a preorder). The monoidal structure is given by addition, with zero serving as the unit object. In other words, the tensor product of two numbers is their sum. A metric space is a category enriched over such monoidal category. A hom-object C(a, b) from object a to b is a non-negative (possibly infinite) number that we will call the distance from a to b. Let’s see what we get for identity and composition in such a category. Since C(a, a) is a non-negative number, this condition tells us that the distance from a to a is always zero. Check! Now let’s talk about composition. We start with the tensor product of two abutting hom-objects, C(b, c)⊗C(a, b). We have defined the tensor product as the sum of the two distances. Composition is a morphism in V from this product to C(a, c). A morphism in V is defined as the greater-or-equal relation. In other words, the sum of distances from a to b and from b to c is greater than or equal to the distance from a to c. But that’s just the standard triangle inequality. Check! 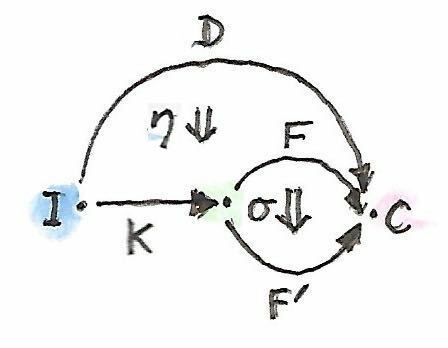 The definition of a functor involves the mapping of morphisms. In the enriched setting, we don’t have the notion of individual morphisms, so we have to deal with hom-objects in bulk. Hom-objects are objects in a monoidal category V, and we have morphisms between them at our disposal. 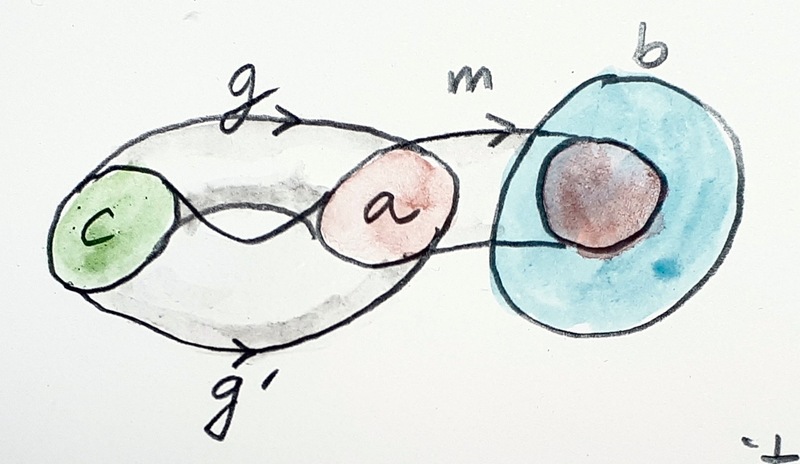 It therefore makes sense to define enriched functors between categories when they are enriched over the same monoidal category V. We can then use morphisms in V to map the hom-objects between two enriched categories. The adjunction will give us the composition law we were looking for. We know that this hom-set contains the left identity λa. We can define ja as its image under the adjunction. A practical example of self-enrichment is the category Set that serves as the prototype for types in programming languages. 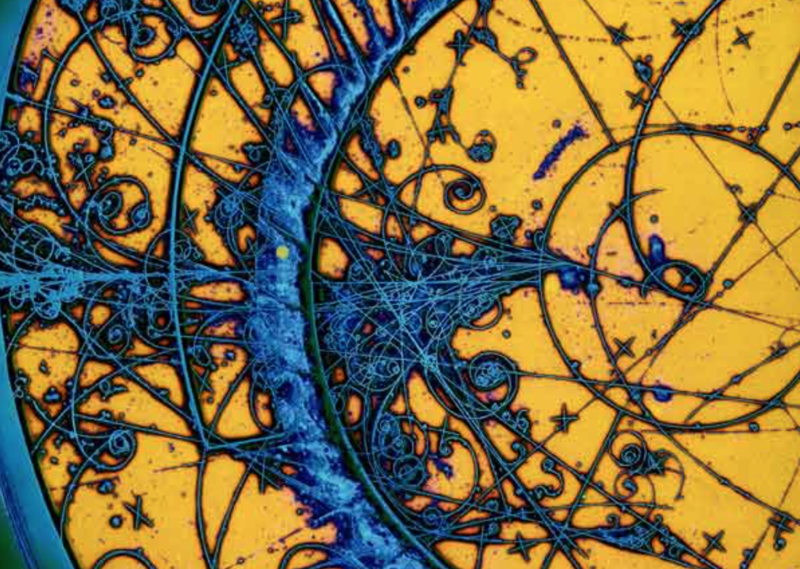 We’ve seen before that it’s a closed monoidal category with respect to cartesian product. In Set, the hom-set between any two sets is itself a set, so it’s an object in Set. We know that it’s isomorphic to the exponential set, so the external and the internal homs are equivalent. Now we also know that, through self-enrichment, we can use the exponential set as the hom-object and express composition in terms of cartesian products of exponential objects. I talked about 2-categories in the context of Cat, the category of (small) categories. 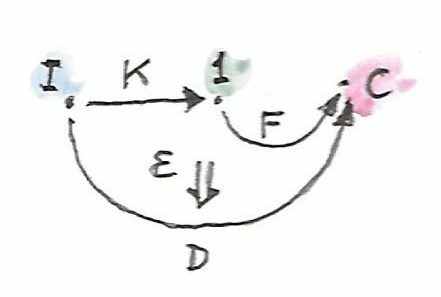 The morphisms between categories are functors, but there is an additional structure: natural transformations between functors. In a 2-category, the objects are often called zero-cells; morphisms, 1-cells; and morphisms between morphisms, 2-cells. In Cat the 0-cells are categories, 1-cells are functors, and 2-cells are natural transformations. 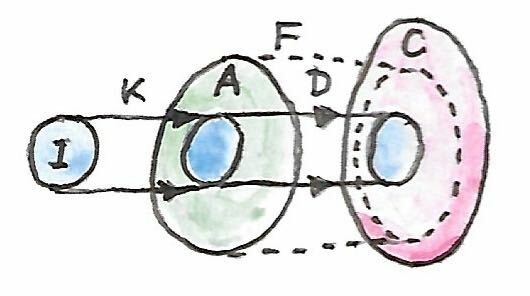 But notice that functors between two categories form a category too; so, in Cat, we really have a hom-category rather than a hom-set. It turns out that, just like Set can be treated as a category enriched over Set, Cat can be treated as a category enriched over Cat. Even more generally, just like every category can be treated as enriched over Set, every 2-category can be considered enriched over Cat. This is part 27 of Categories for Programmers. Previously: Ends and Coends. See the Table of Contents. So far we’ve been mostly working with a single category or a pair of categories. In some cases that was a little too constraining. For instance, when defining a limit in a category C, we introduced an index category I as the template for the pattern that would form the basis for our cones. It would have made sense to introduce another category, a trivial one, to serve as a template for the apex of the cone. Instead we used the constant functor Δc from I to C.
It’s time to fix this awkwardness. Let’s define a limit using three categories. 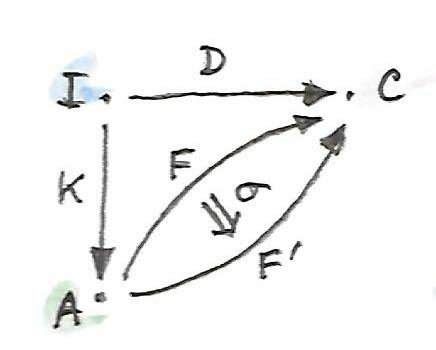 Let’s start with the functor D from the index category I to C. This is the functor that selects the base of the cone — the diagram functor. The new addition is the category 1 that contains a single object (and a single identity morphism). 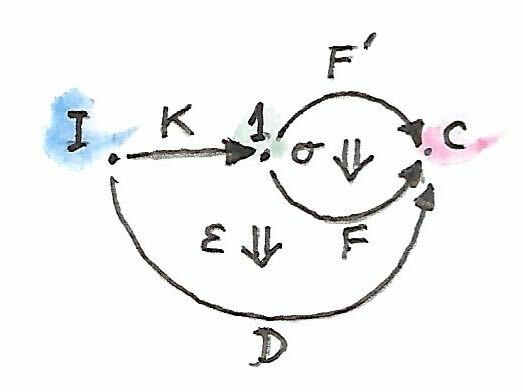 There is only one possible functor K from I to this category. It maps all objects to the only object in 1, and all morphisms to the identity morphism. 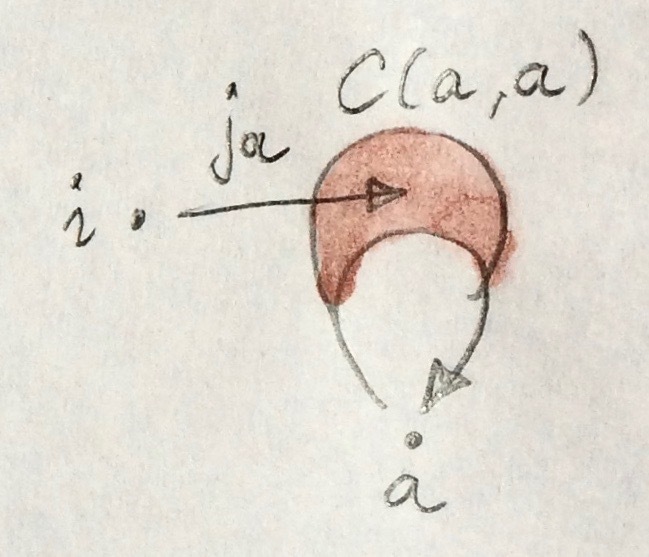 Any functor F from 1 to C picks a potential apex for our cone. A cone is a natural transformation ε from F ∘ K to D. Notice that F ∘ K does exactly the same thing as our original Δc. The following diagram shows this transformation. 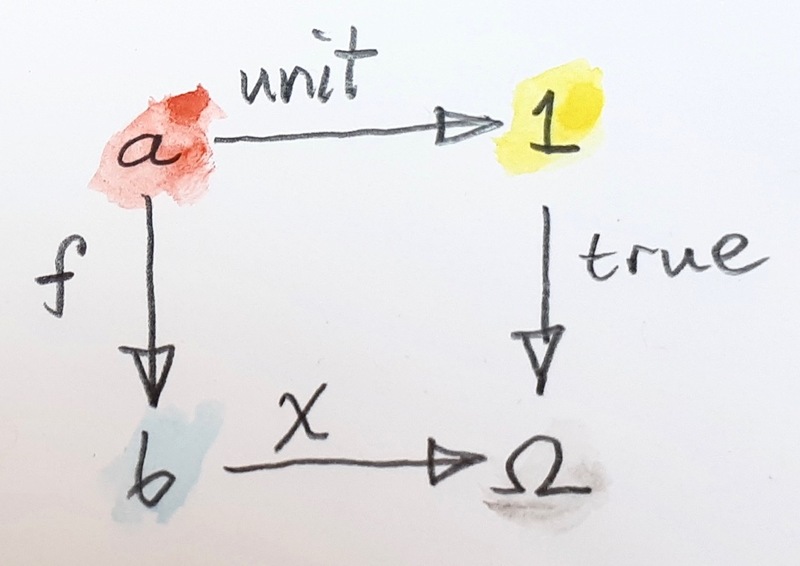 We can now define a universal property that picks the “best” such functor F. This F will map 1 to the object that is the limit of D in C, and the natural transformation ε from F ∘ K to D will provide the corresponding projections. 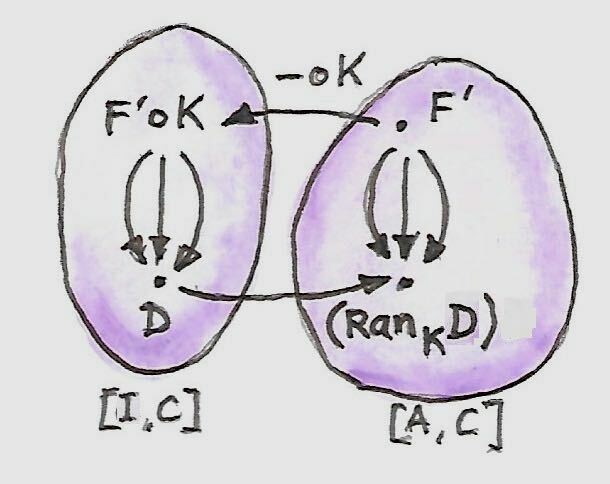 This universal functor is called the right Kan extension of D along K and is denoted by RanKD. Let’s formulate the universal property. 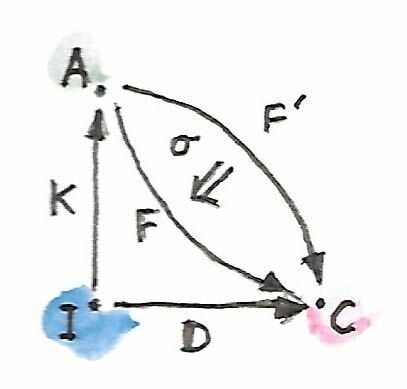 Suppose we have another cone — that is another functor F' together with a natural transformation ε' from F' ∘ K to D.
Here, σ ∘ K is the horizontal composition of two natural transformations (one of them being the identity natural transformation on K). This transformation is then vertically composed with ε. In our case, σ has only one component corresponding to the single object of 1. So, indeed, this is the unique morphism from the apex of the cone defined by F' to the apex of the universal cone defined by RanKD. The commuting conditions are exactly the ones required by the definition of a limit. But, importantly, we are free to replace the trivial category 1 with an arbitrary category A, and the definition of the right Kan extension remains valid. 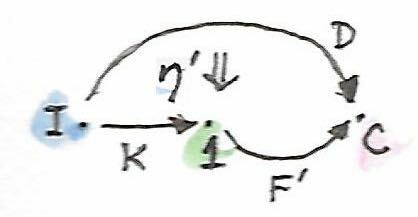 Of course, the embedding picture breaks down when the functor K is not injective on objects or not faithful on hom-sets, as in the example of the limit. In that case, the Kan extension tries its best to extrapolate the lost information. It is just a restatement of the fact that to every natural transformation we called ε' corresponds a unique natural transformation we called σ. 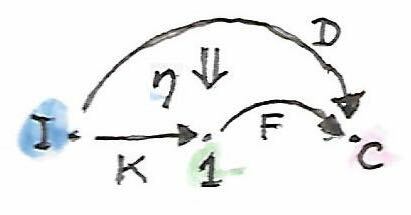 The right Kan extension of a functor along itself, K/K, is called a codensity monad. 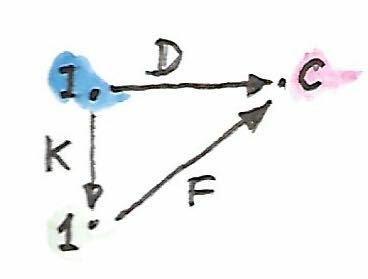 The adjunction formula is an important result because, as we’ll see soon, we can calculate Kan extensions using ends (coends), thus giving us practical means of finding right (and left) adjoints. There is a dual construction that gives us the left Kan extension. To build some intuition, we’ll can start with the definition of a colimit and restructure it to use the singleton category 1. 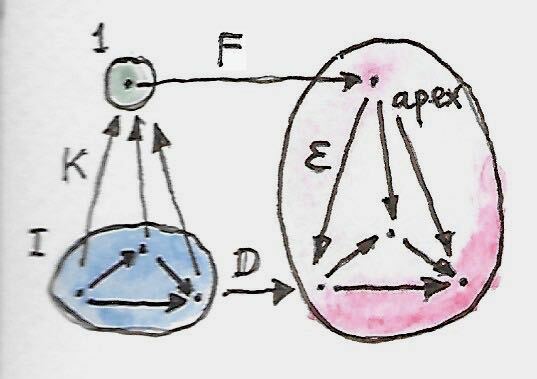 We build a cocone by using the functor D::I->C to form its base, and the functor F::1->C to select its apex. The sides of the cocone, the injections, are components of a natural transformation η from D to F ∘ K.
Replacing the singleton category 1 with A, this definition naturally generalized to the definition of the left Kan extension, denoted by LanKD. is called the unit of the left Kan extension. 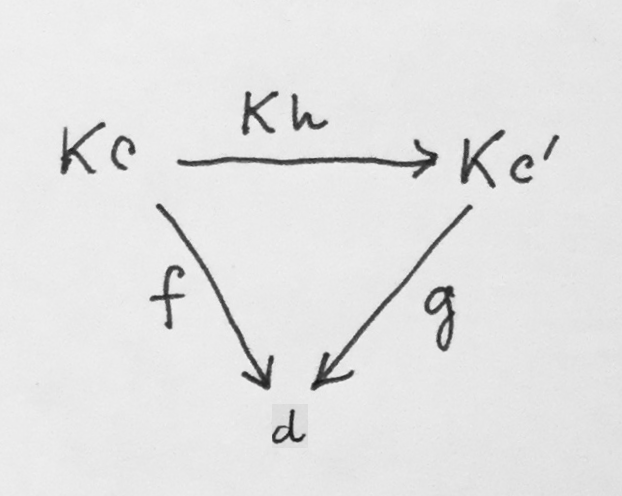 In other words, the left Kan extension is the left adjoint, and the right Kan extension is the right adjoint of the postcomposition with K.
The real power of Kan extensions comes from the fact that they can be calculated using ends (and coends). For simplicity, we’ll restrict our attention to the case where the target category C is Set, but the formulas can be extended to any category. These kinds of calculations using ends, coends, and the Yoneda lemma are pretty typical for the “calculus” of ends. you’ll get back a list of Int, and so on. The right Kan extension will use your function to produce a tree and then repackage it into a list. For instance, you may pass it a parser that generates a parsing tree from a string, and you’ll get a list that corresponds to the depth-first traversal of this tree. The interpretation of this data structure is that it contains a function that takes a container of some unspecified is and produces an a. It also has a container of those is. Since you have no idea what is are, the only thing you can do with this data structure is to retrieve the container of is, repack it into the container defined by the functor k using a natural transformation, and call the function to obtain the a. For instance, if d is a tree, and k is a list, you can serialize the tree, call the function with the resulting list, and obtain an a. Notice that, as described earlier in the general case, we performed the following steps: (1) retrieved the container of x (here, it’s just a trivial identity container), and the function f, (2) repackaged the container using the natural transformation between the identity functor and the pair functor, and (3) called the function f.
An interesting application of Kan extensions is the construction of a free functor. It’s the solution to the following practical problem: suppose you have a type constructor — that is a mapping of objects. Is it possible to define a functor based on this type constructor? In other words, can we define a mapping of morphisms that would extend this type constructor to a full-blown endofunctor? It’s called a free functor based on F.
As you can see, the free functor fakes the lifting of a function by recording both the function and its argument. It accumulates the lifted functions by recording their composition. Functor rules are automatically satisfied. 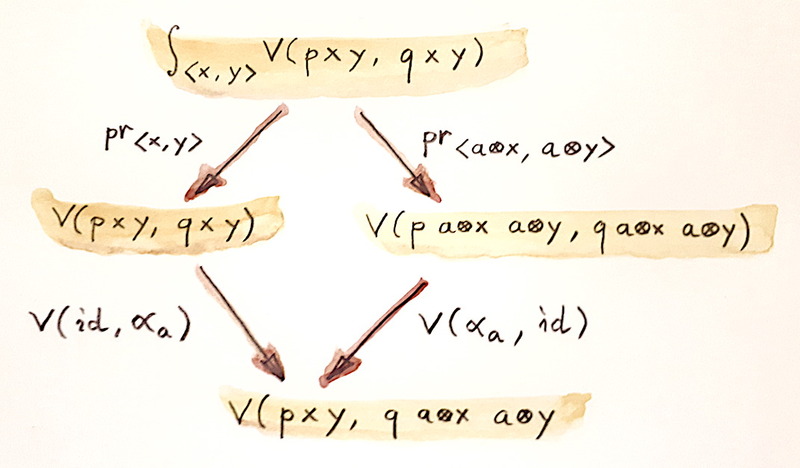 This construction was used in a paper Freer Monads, More Extensible Effects.